Making your musky in-lines double bladed bucktails has never been easier. Not only will you save over 70% by making your own spinners, your spinners will be totally customized. Having troubles downloading our Tip Sheets? Spraying Heat & Dip Powder Paint. 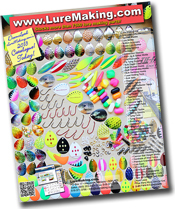 Easy to follow Lexan Lip patterns and tips cutting and installing your own. 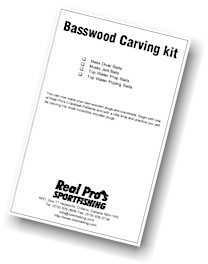 Easy to follow basswood carving tips and patterns. Never again buy another walleye (pickerel) harness. Everything you need to know about snelling your hooks to which blade and hooks to use is included on this informative tip sheet. Never again buy another French spinner. Everything you need to know from blade, body, and hook sizes to how to bend the wire using only a pair of needle nose pliers is found on this informative tip sheet. Also included are the instructions on how to dress your trebles with bucktail hair. Never buy another spinnerbait. 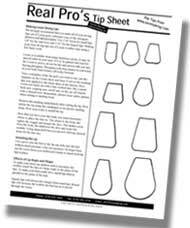 Everything you need to know from blade sizes and styles to skirts is found on this tip sheet. Here is every thing you need to get started powder painting your own lures. Add amazing colour to all your metal lures in as little as 10 seconds with no drying time. Two pages. Here are the instructions to gluing your own plastic crankbaits.